*Area, Population and Density rankings refer to Fairfield’s relative position among Vermont’s 255 civic entities (9 cities, 242 towns, 4 gores and grants). Complete rankings are here. Fairfield was granted by Benning Wentworth on the same day as the towns of Hungerford (which became Sheldon in 1792) and Smithfield (which was divided between Fairfield and Bakersfield the same year). Many of the same grantees are listed in all three towns, and all the lists were headed by Samuel Hungerford, for whom the town of Hungerford was named. Smithfield was named for Henry and Nathan Smith, two of the men listed as grantees of that town. Fairfield was named for Fairfield, Connecticut, the home town of Samuel Hungerford and some of the other grantees. 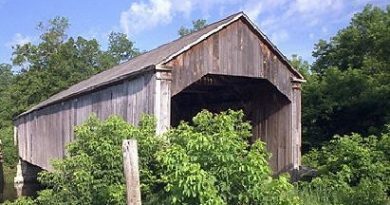 The first proprietors’ meeting for the three towns was held at the Connecticut town of Fairfield in 1774. 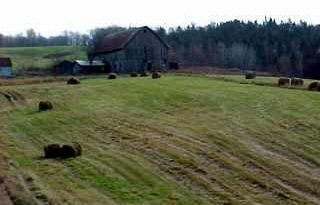 That town had originally been named for the Fairfield town in either Derbyshire or Worcestershire, England, where the name means literally “a beautiful field,” a name that is singularly apt for what proved to be one of the biggest and best farming towns in Vermont. At the time of the first United States census (taken for Vermont in 1791), Fairfield had 125 residents. By 1850 it had grown to 2,500 people, making it the fourth largest town in the county. Strangely enough, for all its rapid growth and large size, Fairfield never had as many different post offices as other smaller and less populated towns. The first was opened at Fairfield village in 1803, and is still in operation. 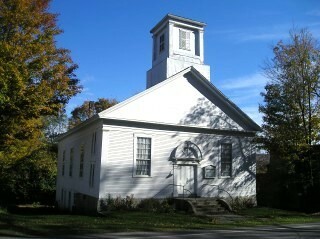 The second was established at East Fairfield in 1836; it, too, is still in service. The third and last was in the northeast corner of town, called Herrick for the most numerous of the families in that area, and it was in service for only twenty-nine months starting in September, 1899. 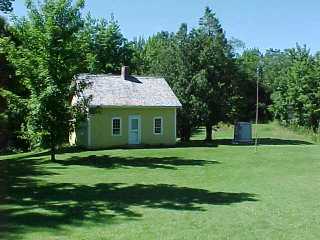 It is said that a postal official had told the storekeeper, Bayson Dickinson, that a three-month test sampling indicated that there was sufficient mail from the village to warrant a separate office, so the office of Herrick was established, and Dickinson became the postmaster. Unfortunately, there wasn’t as much outgoing mail as had been expected. Dickinson encouraged the young men in the area to write their girlfriends every day, and for a time that turned the trick. But, as one of the young men expressed it, after all those letters most of girls married their guys, and the mail fell off again. Finally the Herrick office was discontinued. The body of water now known as Fairfield Pond was once known as Dream Pond, the name recalling an 1842 incident in which a man was convicted of murder after a woman dreamed she saw him drowning a mother and her baby there. 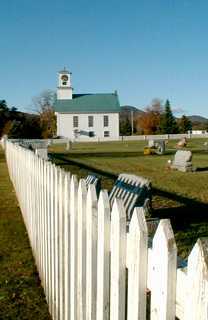 Reconstructed family home of 21st President (photo above) and church where his father was preacher. Between Routes 36 and 108, Wednesday-Sunday, 9:30-5 pm Admission 802-828-3051.